Cathy is a skilled data management consultant and trainer who has worked for over 35 years in the UK's Higher Education Sector. For many years she was a senior member of staff for a consultancy and training unit within the University of Reading and in this capacity she provided data management support for numerous projects. Cathy is internationally renowned for her keen data management skills and precise handling of project data. In her work she emphasises the need for data to be well-structured and organised and pays close attention to data quality. Cathy has over 20 years' experience of using MS Access which she used to produce administrative databases for the SSC as well as several consultancies. She has also developed and run training courses on using MS Access for data management; these courses ranged from three days to two weeks. She also has experience using CSPro, a freely available software package developed by the US Census Bureau and used for managing data from surveys and censuses. A few years ago Cathy produced a series of video demonstrations on creating and using a CSPro data entry application; these are freely available on YouTube. Between 2001 and 2007 Cathy was the key data management resource person for "Young Lives", an international study on child poverty involving cohorts of 3,000 children in each of Vietnam, Peru, India and Ethiopia. The work included developing a data management strategy for the project and training local teams in the use of database management systems. Cathy was also instrumental in preparing the first round of quantitative data for submission to the UK Data Archive. More recently Cathy led a small team in a consultancy contract with GAIN (Global Alliance for Improved Nutrition) to provide data management and statistical support for end-of-project surveys into iodine deficiency and iodised salt in several countries including India, Senegal and Ghana. The work involved preparing data entry systems for use on Android phones, training field staff in the use of the data entry systems and real-time monitoring of data collection. Over the years Cathy has produced a wide range of data management training materials and support documents. 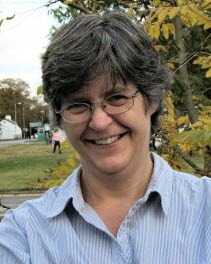 An example of her work can be seen in the CCAFS (Climate Change, Agriculture and Food Security) Data Management Support Pack for which Cathy authored many of the documents and guides. Cathy is also an associate of Statistics for Sustainable Development (Stats4SD).